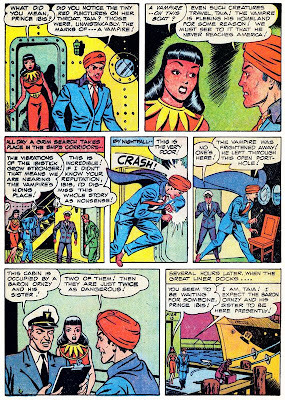 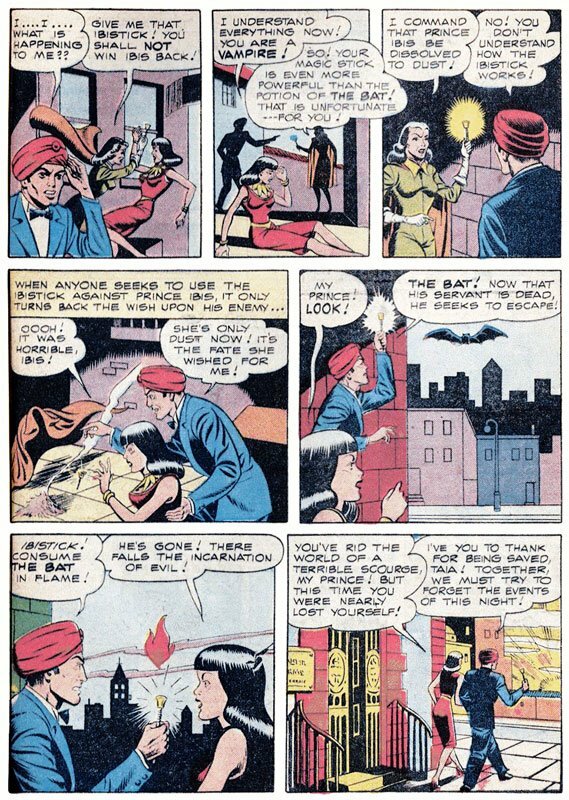 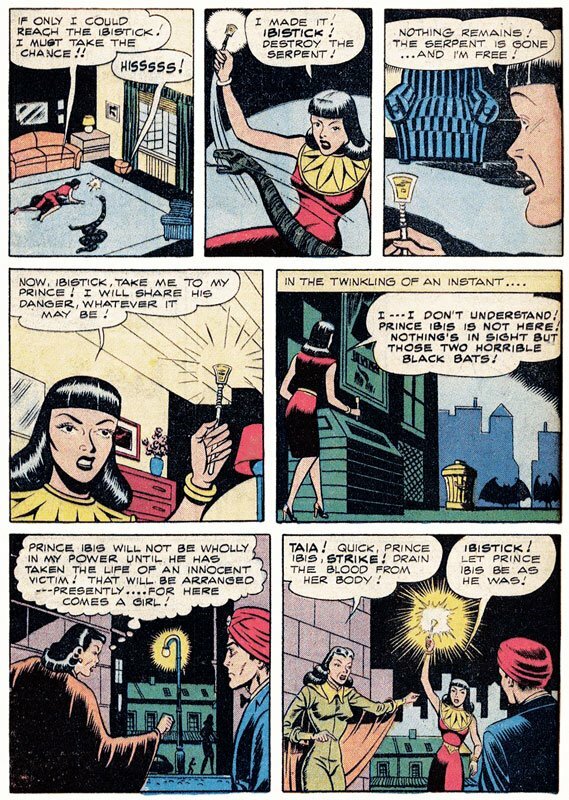 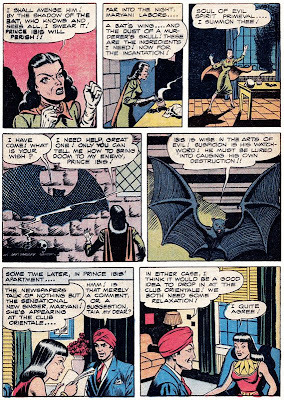 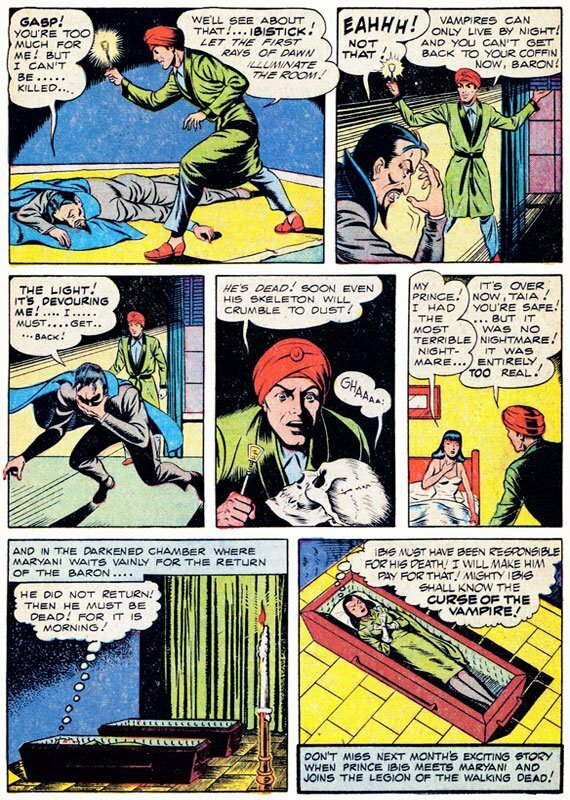 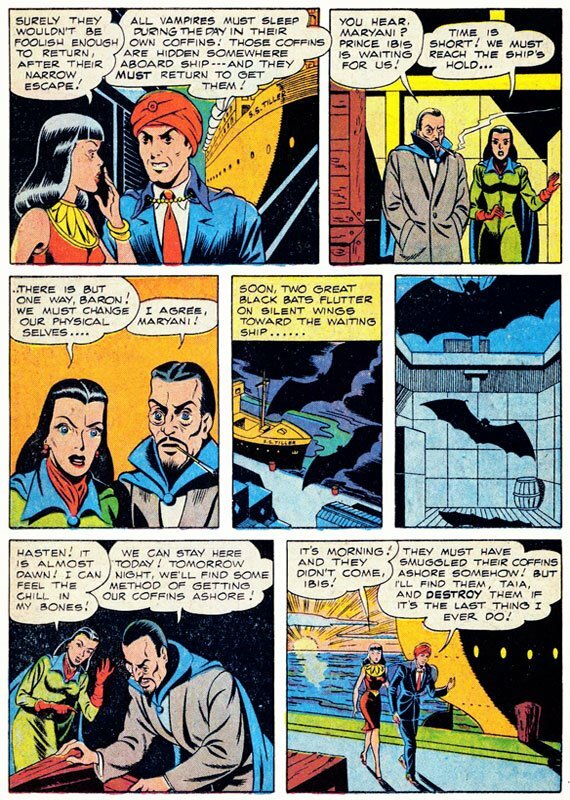 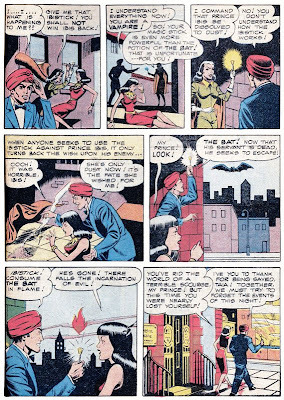 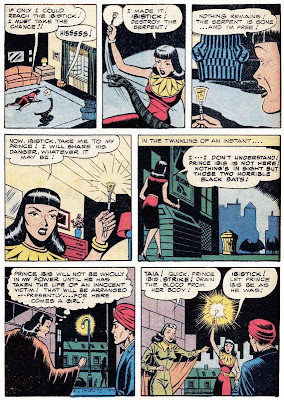 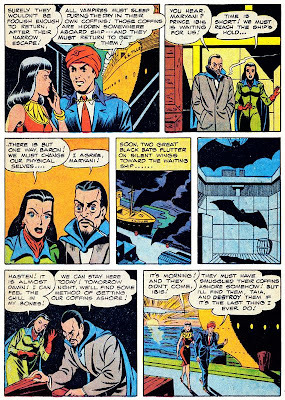 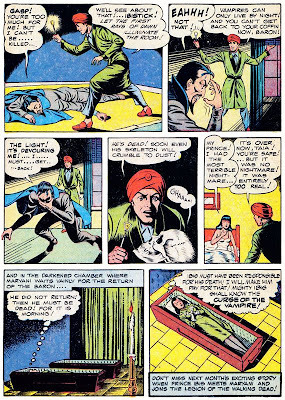 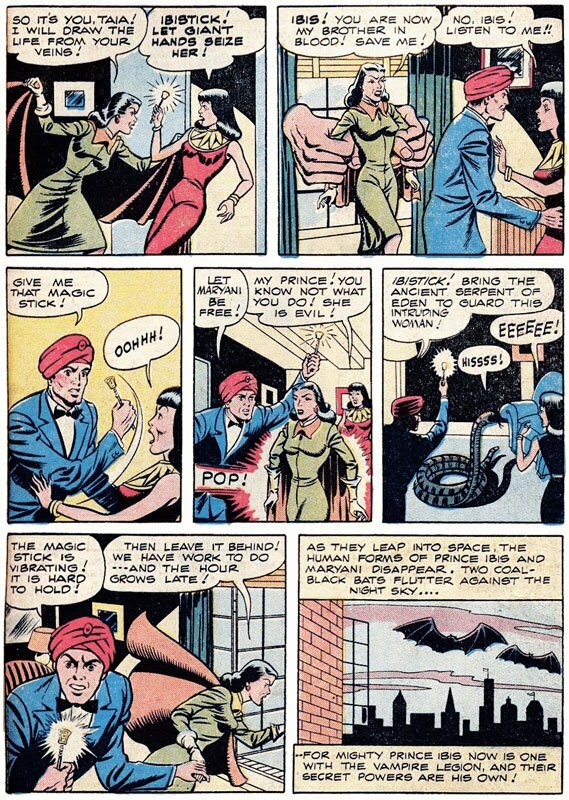 Golden Age Heroes: IBIS the Invincible and the Vampire Twins! HAPPY HALLOWEEN!! 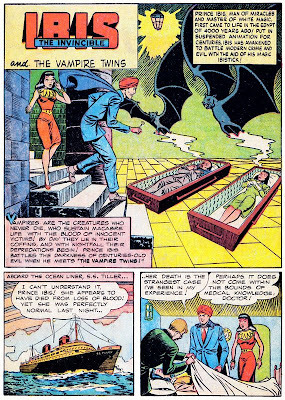 Have some vampires!! 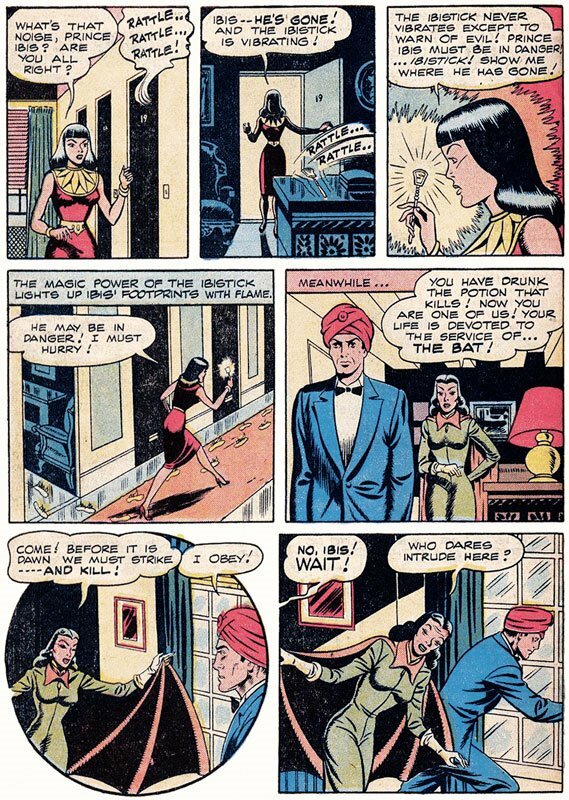 Prince Ibis, man of miracles and master of white magic, first came to life in the Egypt of 4000 years ago! 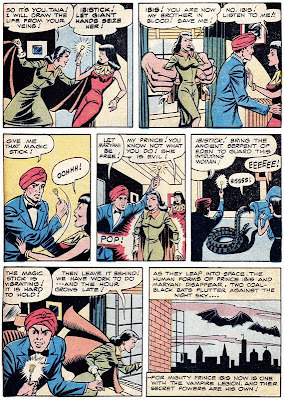 Put in suspended animation for centuries, Ibis has awakened to battle modern crime and evil with the aid of his magic Ibistick! 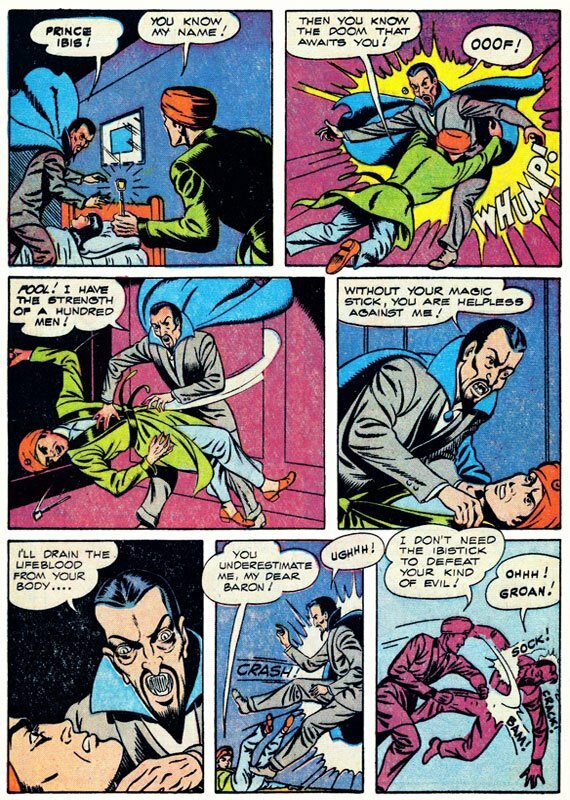 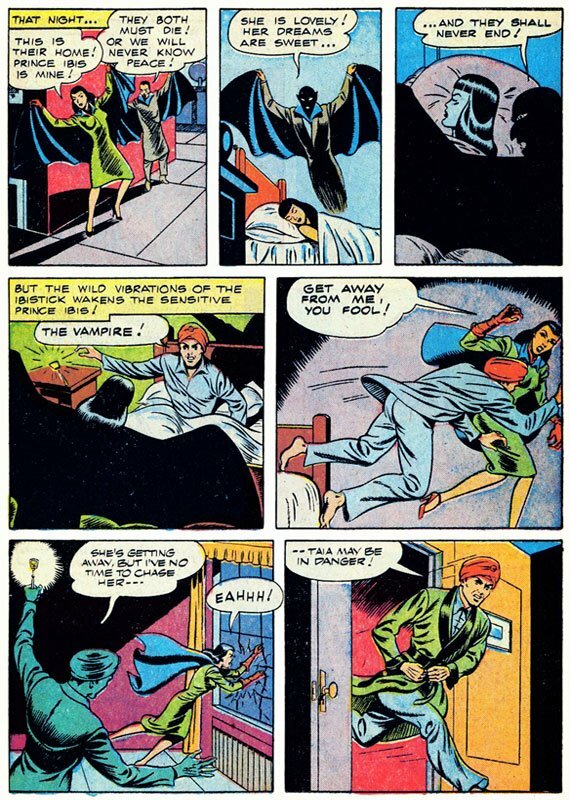 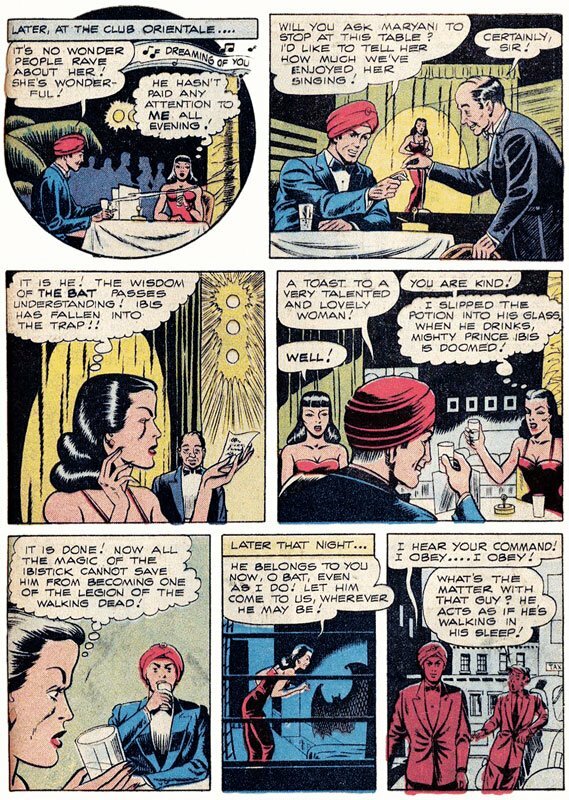 Ibis had a fairly lengthy career; including the entire run of WHIZ COMICS #2(1)-155 (February 1940-June 1953), his own IBIS, THE INVINCIBLE #1-6 (1942-Spring 1948) and ALL HERO COMICS #1 (May 1943). 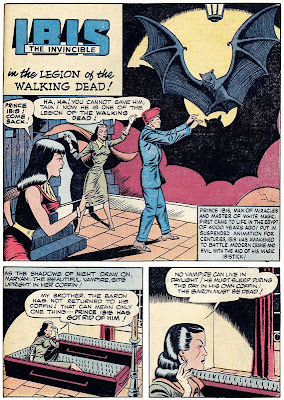 Well, that wraps up the 13 Days of Halloween!! 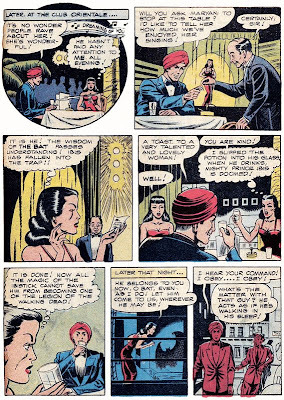 Have fun tonight! 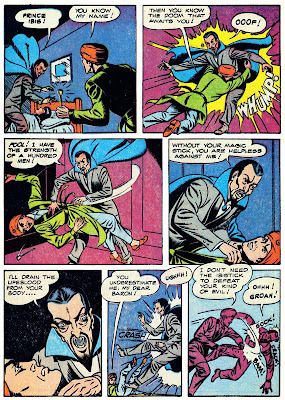 Grand Comic Book Database lists an artist for the first chapter, but not for the second. 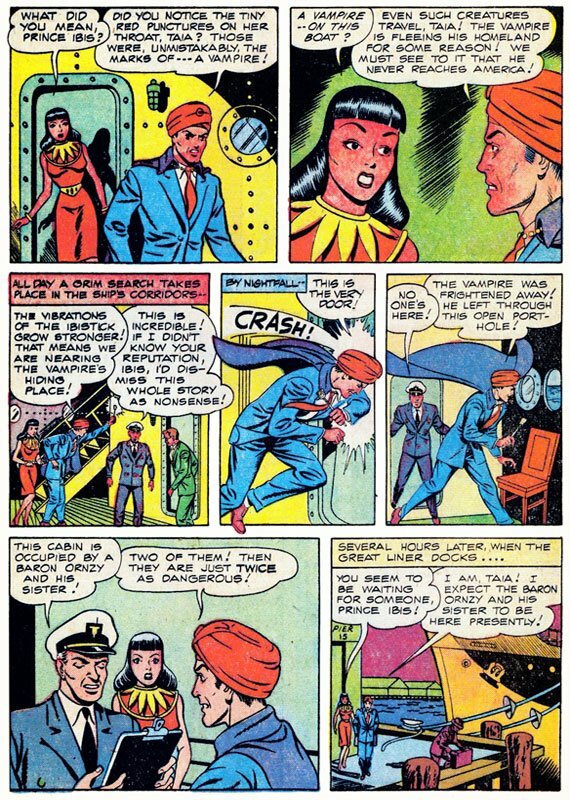 It kinda looks like the same guy to me, though.